Halloween is still several month's away, but it's never too early to start thinking about your costume - and your dog's costume! I realize that not everyone's a "dress-up-your-pet" type of person, and usually I'm not either, but on Halloween...Well come on, it's just fun to include your pet! Every October, my dog Dotty and I like to participate in an annual Trick or Treat dog walk & costume contest to raise money for a local pet shelter. 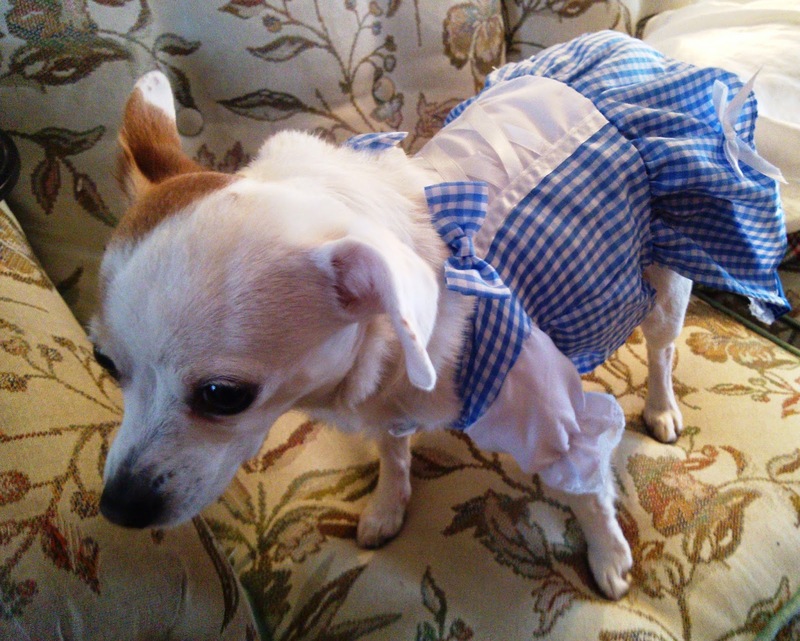 One year we dressed as pirates, one year Dotty was a chihuahua complete with a mini sombrero (since she's always mistaken for that breed), and this coming year, we're going as Wizard of Oz characters! 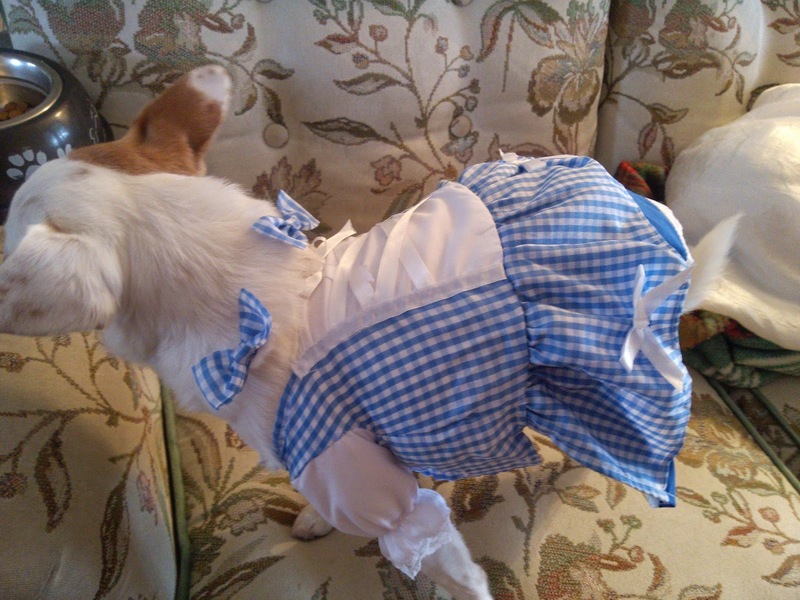 How cute is this Dorothy dog costume? There are lots of other costumes to choose from including the Tin Man, Hello Kitty, and Yoda. Size Small was a little snug on Dotty so the velcro didn't attach completely, so I would recommend getting a Medium for dogs around her size (10 pounds.) And make sure your dog is comfortable wearing costumes, or pick out something simple to keep him or her happy and comfy. Dotty doesn't like anything on her head, so I avoid costumes with hats or accessories that go around the head. AnytimeCostumes also has a huge selection of human Halloween (and other holiday) costumes. Follow them on Google+ and Twitter for the latest updates and costume deals!